IMPORTERS can now pencil in a Biosecurity Import Levy to the increasing list of surcharges, cost recovery fees and taxes which collectively add a substantial dollar value to the price of landed goods into Australia. 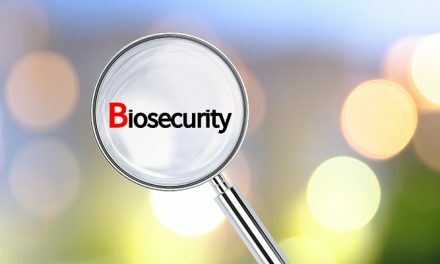 In 2017, the Priorities for Australia’s biosecurity system: an independent review into the capacity of the nation identified that resourcing the biosecurity system is a significant challenge and recommended the introduction of a new levy to address the need for additional revenue to fund activities. The Australian government conveniently used this opportunity to announce the introduction of the Biosecurity Import Levy in the 2018-19 Budget with an expectation to raise $325m over three years from a proposed commencement date of 1 July 2019. The associated modelling announced in the budget referred to collection of $10.02 per twenty-foot equivalent (TEU) and $1 per tonne for non-containerised cargo with stevedores and port operators to be the collection agents. This came as a shock to industry with no prior engagement on the concept from either government or the Department of Agriculture and Water Resources. Since this time industry has essentially posed four questions; 1) What is the true nature of the levy? ; 2) Why is the sea cargo sector carrying the levy burden alone? ; 3) What have been the changes since the original model was announced? ; and 4) Assuming the levy will proceed, is there a smarter way for the government to collect this revenue? What is the true nature of the levy? This is underpinned with a transparent process aligned to the Australian Government Cost Recovery Guidelines whereby industry has input into the design and use of funds. It would have been a lot easier for industry to swallow this pill in terms of the new levy if this approach had been adopted as it ensures that funds are directly used in building a stronger biosecurity system, including measures to streamline activities and reduce costs at the border. Currently hundreds of thousands of dollars is being paid by importers, customs brokers and freight forwarders as a result of the processes associated with the management the Brown Marmorated Stink Bug (BMSB). 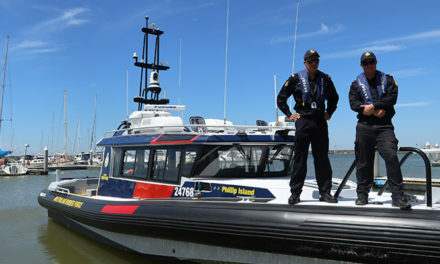 In extreme instances, total vessels and their loads are being turned away from our shores due to detection of the pest. For those that have been fortunate to have their cargo arrive, many have been stung by the onshore delays caused by inadequate offshore treatment, failure in government systems and processes and a local industry inadequately prepared to deal with the growing onshore treatment task. Of concern, it remains unanswered whether the tax will directly contribute towards the support and management of BMSB and other emerging biosecurity threats. To be clear, the Biosecurity Import Levy is not a cost recovery initiative, it is a tax going direct into the federal government’s general revenue. That leaves industry with no option but to have blind faith in government that the funds will come back to biosecurity activities and provide some form of relief to industry through operational efficiencies. Why is the sea cargo sector carrying the tax burden alone? We are being told that the tax will be used to protect of our environment, agricultural and tourism sectors from biosecurity risks. In response, a legitimate argument put forward from some sectors of industry is that based on this need, the required additional revenue should be collected from Australian tax payers. In an election year, the government unsurprisingly has not adopted this approach. The next argument put forward questioned why the sea cargo sector is subject to the tax rather than sharing the financial burden with air and sea passengers as well as air cargo and mail operators. Again, it is unlikely that it would have been attractive for government to impose a new tax on the travelling public and tourists or revisit the controversial concept of a “parcel tax” against online internet purchases. In summary, it appears that sea cargo was the obvious soft target for the new tax. What have been the changes since the original model was announced? To the credit of the department, they have clearly heard our concerns about their original proposal of imposing the tax on stevedores. As we have witnessed in terms of the stevedore Infrastructure Surcharge, an already high and unregulated charge is inflated as it passes down the supply chain with road / rail transport operators and other intermediaries adding fees to recover associated cash flow and administrative costs. Revised modelling now proposes that shipping lines are responsible for paying the tax. This is a significantly improved outcome by removing the imposition from stevedores and the transport sector. The revised model maintains a $10 per TEU tax but has added an extra level of complexity by charging shipping lines on the weight of import vessels and makes an adjustment to the proposed tax imposition on bulk and break-bulk cargo. The financial imposition, particularly on bulk commodities, is enormous and seems far removed from the commensurate biosecurity risk. Perhaps this quantum will be adjusted again once the general public finds out that mineral products, LPG and fuel imports will be subject to further government taxes. Is there a smarter way for the government to collect this revenue? Shipping lines and their representative body continue to strongly object to the revised model. Having said that, the reality is that once shipping lines get their systems in place, they will most likely laugh all the way to the bank. The way that things are shaping up, they will most likely collect money up front from importers and freight forwarders and remit periodically to the department. A nice cash flow benefit and you can add to the mix the likelihood of an administrative fee to manage the complexity of the model that requires a calculation based on the weight of the import vessel, TEU fees, and bulk commodity weights. Should shipping lines pass on this tax and any associated administrative mark-up in the form of a new fee, an additional increase in the form of GST and the cascading effect once this passes down the supply chain will add significant costs to importers. The overwhelming response that Freight & Trade Alliance (FTA) has received from a membership of major importers is that if a tax is to be paid, two changes are essential, 1) a move away from a vessel weight charge to a flat per TEU / import weight charge to provide predictability in landed costs; and 2) payment of the tax direct to the government at a net rate through existing reporting mechanisms. Since the tax was first announced, FTA and many other industry representatives have pointed to the Full Import Declaration (FID), used for customs payment and clearance purposes, as the preferred and only logical methodology. We also understand that the bulk fuel importers have suggested a simple increase in excise as a preferred model to send more revenue to government rather administering a new tax. The department continues to resist our proposal saying that the FID does meet the necessary legislative framework to collect the tax. It remains a mystery why this cannot be used to collect the Biosecurity Import levy which we now understand is just another tax. Surely the underpinning Integrated Cargo Systems (ICS) could do a calculation on bulk commodity weights and TEU to produce another tax line on the FID. Or is this the crux of the problem? Is the ICS that complex in design that the government does not want to mess around with what appears to be an extremely fragile system? At a departmental hosted forum on 10 January 2019, shipping lines, ports, freight forwarders, customs brokers and importers all declared their support the need for strong biosecurity measures. Importantly, all were unanimous for the government to start from scratch outlining the need for genuine industry engagement on the revenue collection design and process modelling. We trust that the department will pass on these serious concerns to the relevant Ministers to support industry’s formal submissions. It is now crunch time for the government with a decision pending to review the entire modelling, or to forge ahead by drafting legislation and subordinate regulation. If the latter, it will be interesting to see whether the tax has bi-partisan support and if so, whether a 1 July implementation remains realistic bearing in mind an upcoming federal election and period of compulsory care-taker mode of government.